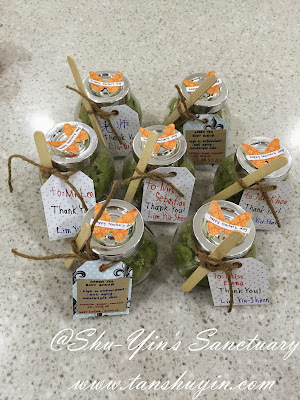 Shu-Yin's Sanctuary: DIY Green Tea Body Scrub & Apples for Teacher's Day! 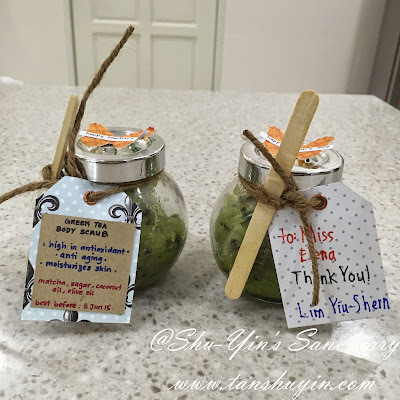 DIY Green Tea Body Scrub & Apples for Teacher's Day! 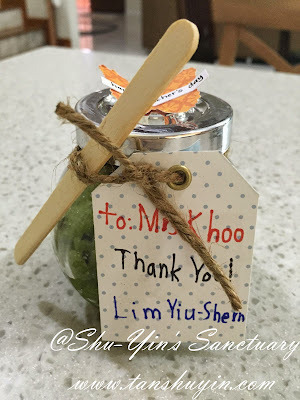 Shern asked me last week what are we making for his teachers this year. Hmmm, I was thinking hard because I did not really prepared for it, unlike the personalized candles we did for last year. I browsed through the web and got inspirations from Pinterest and blogs and found what we wanted to do. 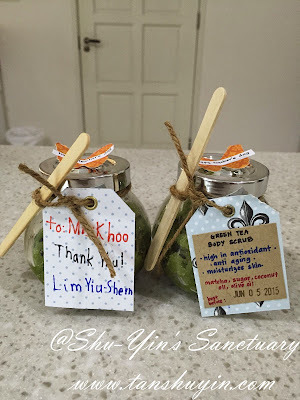 These 2 are what we did for Teacher's Day this year. 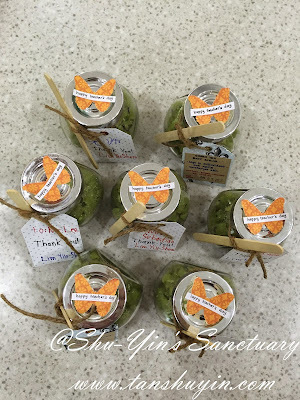 The DIY Green Tea Body Scrub for Shern's teachers, and the Apples for Khye's teachers. 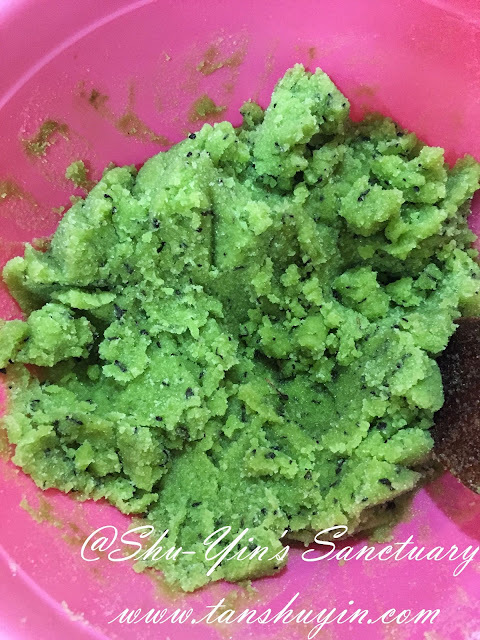 Firstly, let me talk about the DIY Green Tea Body Scrub. 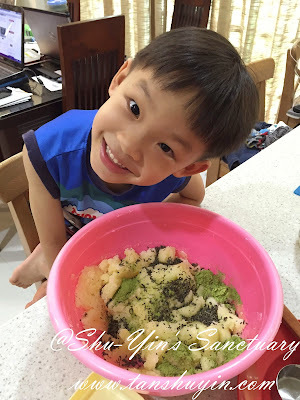 I got the idea and the recipe from Swee San's website. 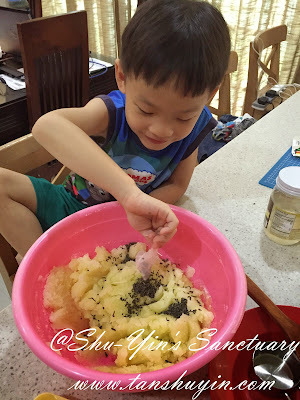 Liked it because it is natural and also very simple to make (I could find almost all the ingredients in my pantry). These are the 5 ingredients needed: Extra Virgin Olive Oil, Coconut Oil, Castor Sugar, Green Tea leaves and Matcha Powder. 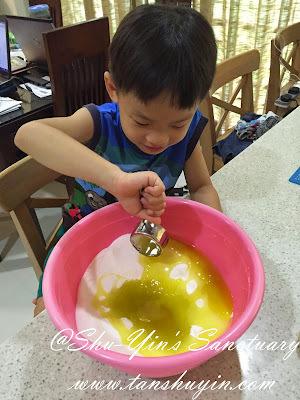 After measurement, Shern helped to pour and mix the ingredients together. This was the end results. I tweaked the recipe a little to get the texture and wetness I liked. 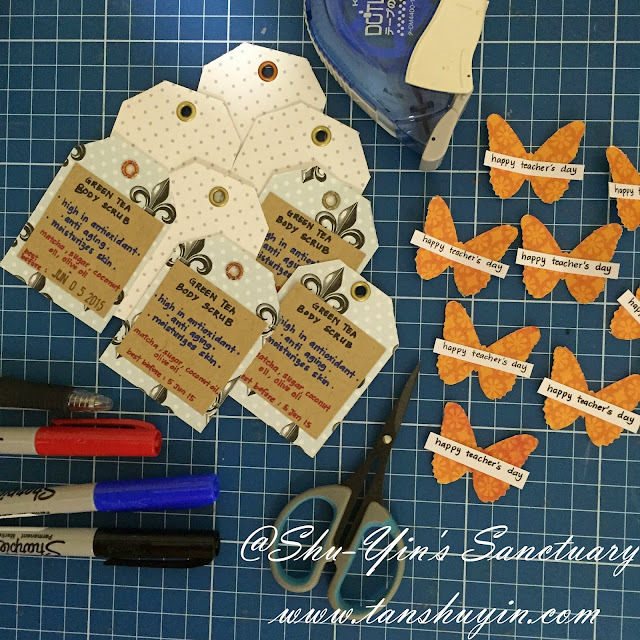 Filled them up in Ikea Spice Jars, and added some a tag and some embellishment I made the night before. 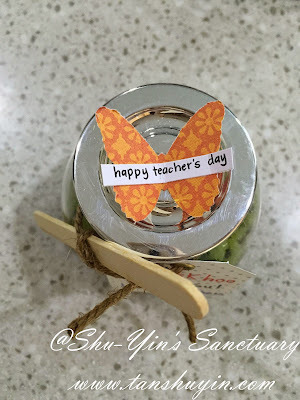 A simple Butterfly embelishment on top of the jar with the note 'Happy Teacher's Day'. AThank You tag, written by Shern himself. Behind it, I also listed out the ingredients used, and also a reminder of the best before date. I didn't have a wooden spoon, so I added in an ice-cream stick for them to scoop out the stuff. We made a total of 7 for his teachers. 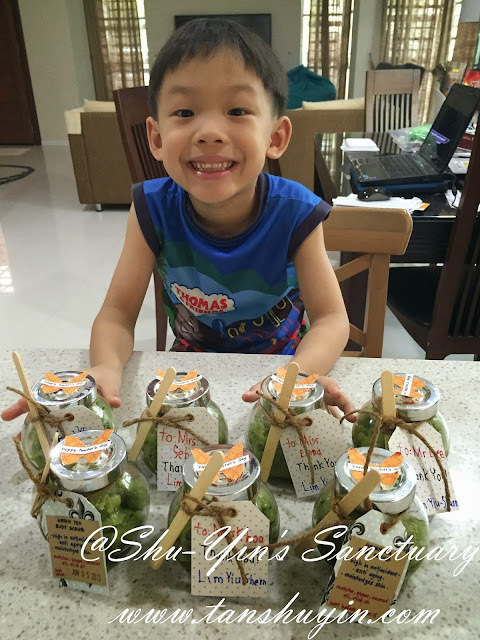 This is Shern, happy and excited about giving his teachers the gifts. He requested one for himself too, as he said he also wanted to scrub away all the dead skins, 'for he is turning dark' (I don't know where he got the idea that he is turning dark!. lol). 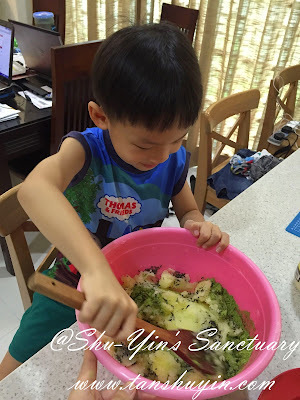 In a bowl combine all ingredients and mix until well blended with a wooden spoon. 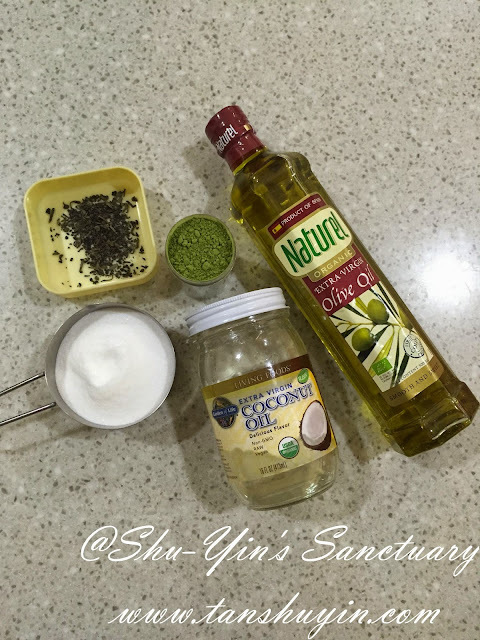 You may want to add more coconut oil based on your own personal preference. Store in a glass jar or air-tight container. 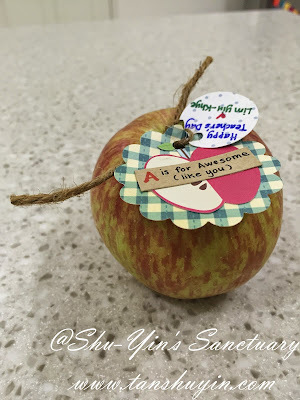 Ok, now, is the Apples for Khye's teachers. 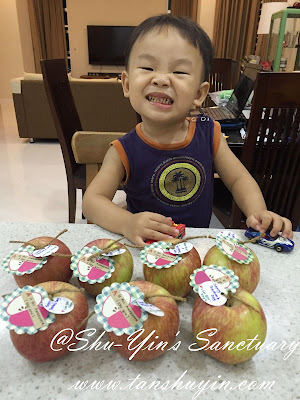 Khye loves fruits, and so apples as gifts is perfect for his teachers. This one is pretty simple. I bought apples from the stall nearby our place. 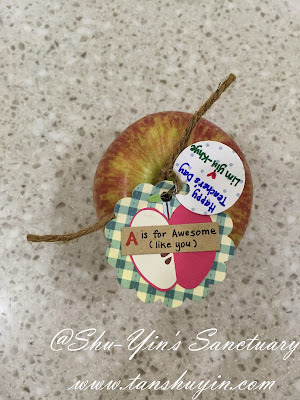 And then Khye and I made the 'A is for Awesome (just like you) tags together. 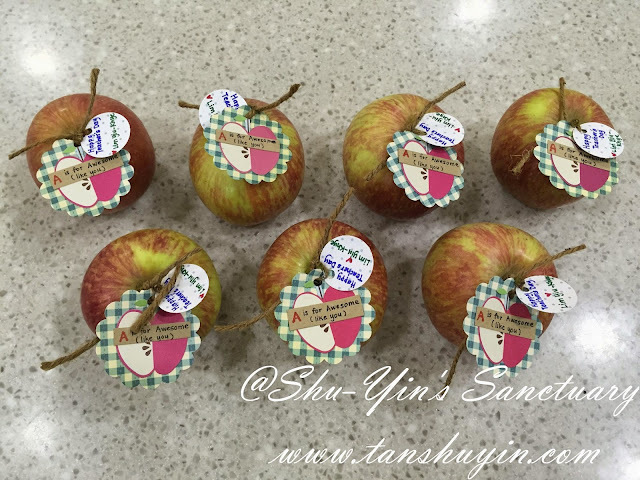 Khye helped to glue the apples on the scalloped circle tags. And then I added another smaller circle tag which says Happy Teacher's Day. Love, Lim Yiu-Khye. There are 7 teachers in Khye's playschool, so we made 7 as well. 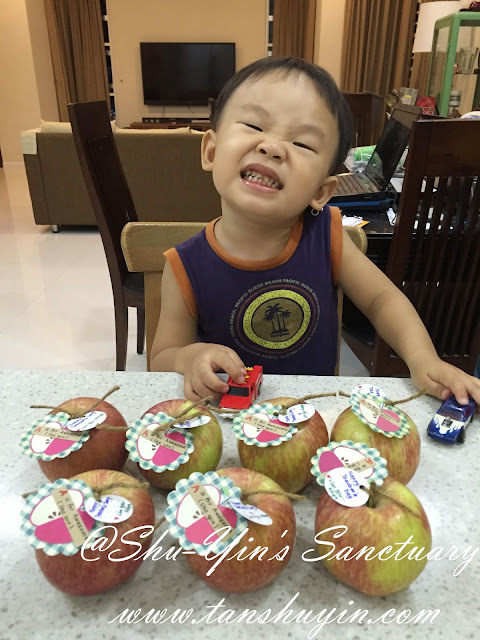 And this is Khye happy with his Apples gift. 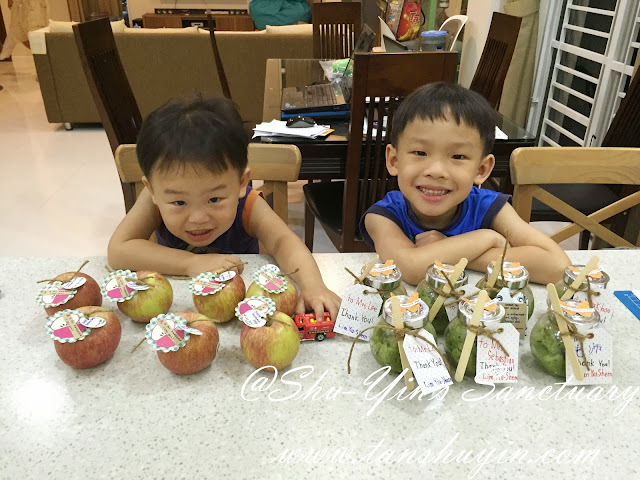 And lastly, both kids together, with their own personalized gifts for their teachers. Lastly, just a shoutout to the teachers HAPPY TEACHER'S DAY! Thank you for helping my kids grow!